2. 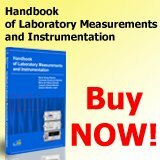 Advanced Sensors and Measurements Books - new book's catalog from IFSA Publishing, S.L. IFSA Publishing provides the best information and latest knowledge on modern advancements in the area of sensors and measurements. Our books are perfect resources for scientists at all levels, from researchers, seeking to refresh their knowledge or bring skills up to date, to graduate and post-graduate students learning advanced topics for the first time. Our authors, who are located around the world and whom we consider to be experts in their fields, write for practitioners, engineering and educational staff. This catalogue features all related publications for 2011/2015 and also includes bestsellers, handbooks and encyclopedias. And we are especially proud of our monthly Sensors & Transducers journal (ISSN: 2306-8515, e-ISSN 1726-5479) and book series including 'Advances in Sensors: Reviews'; 'Measurement of Physical and Chemical Quantities'; and 'Sensors & Signals'. We publish all our content as print books and e-books (in pdf format). All our titles are available from our web site and through major resellers such as Ingram, Barnes & Noble and Amazon. We work closely with many libraries, booksellers and distributors to provide them with special discount and access to the most up-to-date scientific and engineering content. The Electrical and Electronic Engineering Department of Universiti Teknologi PETRONAS (UTP) is proud to organize the 6th International Conference on Intelligent & Advanced Systems (ICIAS2016) from 15th to 17th August, 2016. This conference is the continuation of ICIAS2014 which was successfully held at the premier Kuala Lumpur Convention Centre (KLCC); the same conducive venue will host our upcoming ICIAS2016 conference. The theme of the conference is "Technological Convergence for Sustainable Future". The conference is technically co-sponsored by the IEEE Malaysia. Mechanical sensors; Digital sensors; Optical sensors; Optical fiber sensors; Temperature sensors; Pressure sensors and transducers; Acoustic and ultrasonic sensors; Reflectometry sensors; Humidity sensors; Gas sensors; Frequency output sensors; Rotational speed sensors; Chemical sensors; Film-based sensors; Quartz crystal microbalance sensors; Biosensors; Inertial sensors; Gyroscopic sensors; Capillary sensors; Silicon-based sensors; Textile-based sensors. Sensors based on quatum phenomena (spectroscopy, imaging, etc. 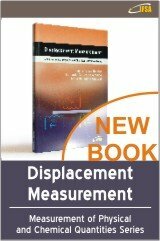 ); Superconduction-based sensors; Transition edge sensors (TES); Superconducting quantum interference devices (SQUID); Gamma-ray and alpha particle detectors; TES bolometers; Polarization sensitive bolometers; Arrays of low temperature microbolometers; Superconducting x-ray spectrometers; Multi-chroic detector array; Kinetic inductance detectors; Industrial and scientific materials analysis; Precision measurements for wavelengths; Accurate measurements; Cosmic microwave background measurements; Measuring small energy; Superconducting readout electronics to measure and amplify the signals from the detectors. earthquakes, hurricanes, late freezing, air currents; Remote sensing on large disasters, volcanoes, wildfires, marine oil spills, landslide hazards, tornadoes; Remote sensing on earth resources, aerosols, dams surveillance, geology, reservoirs; Remote sensing on agriculture; Tropical forests, deserts, vegetation dynamics, crop estimation; Remote sensing on hydro, flooding, drought, rainfalls, snowstorms; Remote sensing on urban traffic, public and commercial transportation, airports, naval ports.